Rachel Schulman, Esq. PLLC is a boutique litigation firm representing entities and individuals in commercial, labor and employment, partnership, civil rights, class action, and international disputes. 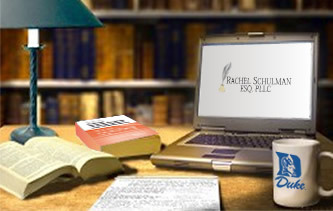 Rachel has worked on successful multimillion dollar trials in federal and state court, and in arbitration. Many of the matters she has worked on have resulted in favorable individual and class-wide settlements. She has also briefed state and federal appeals and presented successful oral argument. 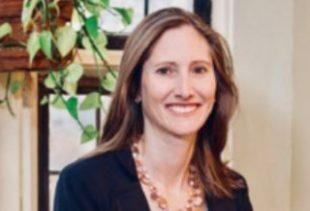 Rachel graduated as a Kent Scholar from Columbia Law School in 2000. 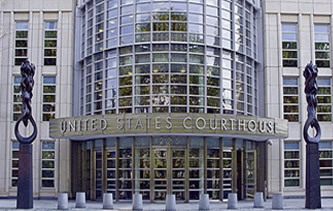 She practiced at a large international law firm in New York City and served on judicial clerkships in the Eastern District of New York and on the Third Circuit Court of Appeals. She also taught as an Adjunct Professor of Legal Research and Writing at Temple University Beasley School of Law. She is admitted to practice in New York, New Jersey, and Pennsylvania. Rachel has been selected to Super Lawyers New York Metro Rising Stars and to the Top Women Attorneys in New York. Rachel Schulman was featured as the cover story in the Attorney at Law Magazine. Click here to read her “Attorney of the Month” cover story. Rachel Schulman’s selection to Super Lawyers is viewable here. Rachel has also been selected to Top Women Attorneys in New York, Top Attorneys – New York Metro Area’s Outstanding Young Lawyers, Top Women in Law, and Outstanding Women in Law. See Attorney Profile.